Next stage is to push the cutting into the ground, this is why an angled cut maybe easier to do. The ground doesn’t need to be too loose and can be even next to the dogwood you have just pruned down. 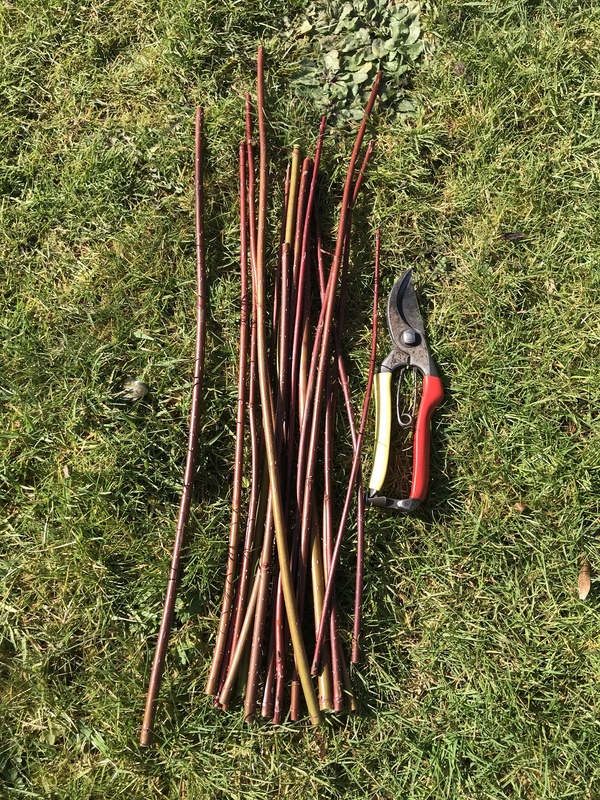 I just spend the past three weeks removing thickets of our native red twig dogwood (Cornus stolonifera, not Cornus sanguineum)! What a mess! We pruned back and left the original plants, but pulled up loads of layered plants! One of the guy we work with took many of them tohis home garden. I tried to talk him out of it, but he insisted. I think that I will be pulling up the same plants AGAIN next year! I think it would be nice to build a fence of them stuck as cuttings and then woven as they grow. however, it would take a lot of maintenance as it grew. That’s so easy! Thanks for this Thomas. I’m going to try this.